Two car bombs have killed at least 17 people in Somalia’s capital Mogadishu. 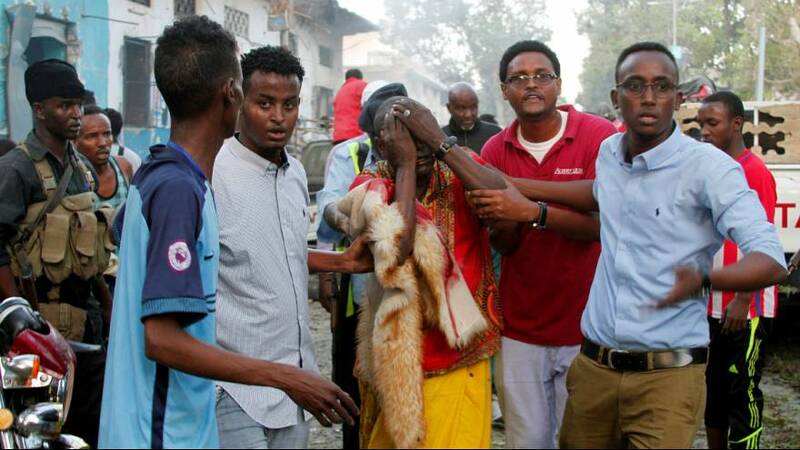 Islamist insurgent group al-Shabab said it carried out the attacks. Armed militants stormed a hotel, said to belong to Somalia’s internal security minister, after ramming it with a a suicide car bomb. Most of those who died were reportedly police officers who had been stationed close to the hotel’s gate. A lawmaker was also killed in the blast. Fighting continued to rage inside the hotel and police said the death toll was likely to rise. A few minutes later, a second explosion was detonated out close to the former parliament house. Saturday’s (October 28) attacks happened two weeks after a bombing in the city killed at least 358 people. Al Shabab frequently carries out bombings and gun attacks in the Horn of Africa country. The Islamist insurgent group is fighting to topple Somalia’s western-backed government and rule according to its strict interpretation of Islam’s sharia law.